One of my favorite characters from Chrono Trigger is Frog, a knight who, while on a quest to defeat the warlock Magus, was defeated in battle and transformed into a frog before the body of his comrade and the shattered sword of legend. Frog lives in exile, unable to show his face to the world of humans, but secretly continues his war against Magus. When Chrono and his friends are ambushed in Manoria Cathedral, Frog rushes in to their aid. However, after the princess is rescued, Frog returns to exile and will not return until the Masamune is forged anew. If, during your quest, you choose to fight Magus instead of take him on your team, Frog returns to his human from as Glenn, the green-haired knight. In Japan, Frog is known simply as ‘Kaeru’, which translates directly as ‘Frog’, but also could mean “to come home”, which is a wonderful play on Frog’s status as an exile. While a rather simple tune, it, along with the character, has become beloved to fans of the game through his humble confidence. “Frog’s Theme” opens with a blaze of flute, trumpet, and drums, a nice medieval march. This short 15-second intro ends with a flurry of trumpets and a nicely-timed cymbal crash. The second segment is the main part of the song, a 30-second ballad played on a flute or tin whistle. The high pitch reflects Frog’s amphibious nature but also his pride and sorrow at his curse. The piece is still very comforting because it lets you know you have a close friend at hand. While the high notes would normally be hopeful and happy, they are played in a minor key, which communicates sadness and determination. This made the piece perfect for alignment with the Civil War song “When Johnny Comes Marching Home Again“, in an arrangement by Ailsean, which also used a minor key because it was based off the melody of an Irish antiwar song. Note there are two versions of “Frog’s Theme”. The first was available on the Japanese soundtrack and contains a longer intro (shown above). The shorter one is only a 30-second loop with the main melody. This one was released on the Nintendo DS soundtrack. Read the rest of this entry ? Let me begin by saying this: Magus is a badass. He’s a warlock who fights with a scythe and black magic. He owns a gigantic castle in some prime swamp real-estate that’s garrisoned to the gills with all manner of imps, skeletons, and dark beasts. He turned his arch-nemesis (who’s also awesome) into a frog. And he’s out for revenge against the monster that sucked his sister into the tempest of time. Oh yeah, and he’s got an awesome cape. In short, the kind of guy you love to fight – and what’s even better, you even get to play as him! The entire piece has a deliberate melody overflowing with malice that smoothly moves from one note to the next, playing quick call and response – Yasunori Mitsuda has a clear talent for composition, even in his early works. 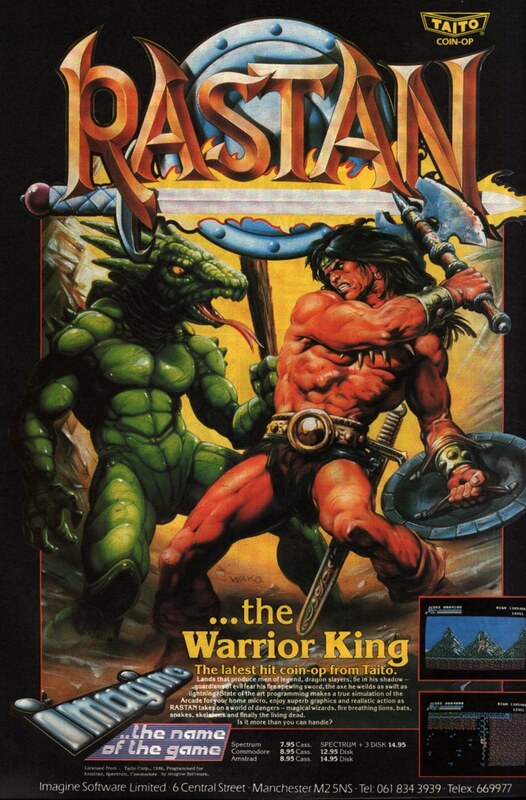 This version is from the PlayStation version of the game, which featured a slightly remastered soundtrack. Interestingly, “Decisive Battle with Magus” seems to have been most recently translated as “Magus Confronted” in the Nintendo DS version of the soundtrack (which is not as good as the PS1 remaster. Actually, I like the soundtrack so much, I also have the soundtrack to both the SNES and DS sitting on my shelf!). “Magus” has seen a flurry of arranges, popular guy that he is. They range from orchestral to rock to…gangsta? Given that Magus has somewhere in the range of 20 noted remixes, what are the best ones? To start, “Magus” seems to work best with rock, and there are no shortages of excellent arranges. The best of these has to be “Atonement” by Michael “Darangen” Boyd, which is American rock to the core: meaty guitars and face-smashing action. The piece begins with heavily distorted guitar scratching that sounds just like Magus’ evil laughter, but the piece gains its stardom through the mighty drumwork which, when coupled with acoustic guitar and clarinet in the middle is absolute aural heaven. By the end of the song, the guitar has taken on a sawlike buzz that when layered with flute makes for a fine ending. I have to say though I am a sucker for Jonathan Striker’s “Distortions from Dark Matter” that, while lacking in instrument polish, makes up for it in composition, which is a frantic, chaotic guitar smash through Magus’ castle, complete with various flavors of maniacal laughter. The track never caught on, even at VGMix 2.0, but remained a favorite of mine since day one. You’ll also want to feast your ears on Star Salzman’s “Black Wind Rising“, the second-most amazing remix outside of “Atonement”. While the piece begins like a standard enough orchestral arrange, it quickly accelerates to an apocalyptic orchestra to synth rock, followed by a frantic electronica symphony that switches focus what seems like once every 30 seconds. With so many different genres in one song, it goes down as nothing short of epic and a must-listen. “The Darkest Omen” actually originally appeared on VGMix 2.0, but was later republished in the arrange album from OC ReMix, Chrono Symphonic – which if you haven’t downloaded it yet, you had best do so! Incidentally, a good deal of the music found in this album was not original to it and instead incorporated into its structure. In the game, the Black Omen is a giant floating spaceship – actually what was left of the Undersea Palace from the Ancient World – within which the evil queen Zeal reigns over the world. The Black Omen can only be assaulted later on in the game, and it serves as a main portal to the game’s primary ending. mv took the original theme and orchestrated it with some incredible synths. He makes good use of piano and brass, which enhances the emotional impact of the original by providing greater depth, clarity, and impact to the music. The melody is full of terror and wonder at the mysteries of the place, but also the desperation of the fight. Actually, the synths remind me a little of Castlevania: Curse of Darkness; they just have that same style, which sort of makes me think ‘this is how Michiru Yamane might have arranged it). The piano, is also amazing, a really fine touch that builds at the end of the first loop and provides a nice counter for the second loop beginning around 2:20. I think it’s the piano that really makes this remix memorable, even after all these years. mv (aka Xavier Dang) is a professional composer (and mixer) from France. He has worked on multiple GBA and DS games. Graffiti Kingdom (2004), aka Rakugaki Ōkoku 2: Maōjō no Tatakai (Graffiti Kingdom 2: Battle of the Evil King’s Castle), is a PS2 game in which the player designs monsters and sends them out to fight other monsters. The game is action-oriented with the player controlling the creatures he or she makes. The graphical style reminds me a bit of the old N64 game, Space Station Silicon Valley, though with much better graphics. The creature creation mode also reminds me a little of Spore. The most notable thing about game though is the soundtrack was it was composed by Yasunori Mitsuda. This would normally be a great thing. However, in this case it is actually one of Mitsuda’s poorest scores, dominated by music that is at times obnoxious and overly kiddie while at other times sounds like an uninspired score to an SNES game. It definitely has Mitsuda’s style, but for some reason, this one just didn’t cut it and so isn’t one I would recommend importing. One of the more interesting tracks for me was “A Perpetual Recurrence,” which seems like a boss track or final level. The percussion here is quite odd, sounding a bit Asian, but the strings have a kind of demented but familiar sound that seems borrowed from either Secret of Mana, Final Fantasy VIII (“Fithos Lusec Wecos Vinosec” in particular). However, it is the instrument selection of violin and drums that identifies it as a Mitsuda piece. About 50 seconds in, towards the end of the loop, there is an interesting choral section. Overall, the piece produces negative vibes through the high-pitched, staccato violin and almost discordant notes. The title also conjures images of ritual and endless spinning. The soundtrack design is probably what intrigued me the most. 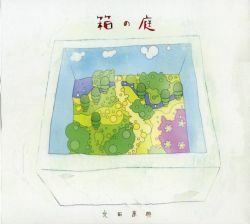 Its title is Hako no Niwa, or “Garden in a Box”. The watercolor cover is cute, as is the image it conjures, which reminds me of the work of Studio Ghibli. “Scars Left by Time” is one of Yasunori Mitsuda’s best works – and also one of my favorite pieces. Keeping in line with his Asian and Celtic influences, Mitsuda combines the shakuhachi flute with acoustic guitar and Western rhythm on string quartet reinforcing the theme of the ocean and romance. “Scars Left by Time” presents a rousing dance, with an introduction full of mystery and a wonder for a time long past – or perhaps out of time, and a body of passion and adventure, an invocation to the game’s rich atmosphere. I am particularly impressed by the combination of poetry and music in the game’s introduction; “Scars Left by Time” seems aware of itself and its place within the art world. 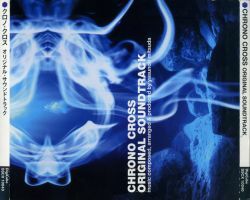 Chrono Cross was Yasunori Mitsuda’s return to the well-respected series’ second installment. 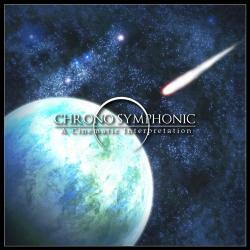 Now with over half a decade of experience under his belt, Chrono Cross ended up being one of Mitsuda’s masterpieces. The success of this song was also due in part to Mitsuda’s use of actual instruments, particularly in “Scars Left by Time,” the game’s opening movie theme. For this reason, it is hard for me to recommend any arrangements, simply because the original version is so perfectly – almost effortlessly – done. I am also impressed by Mitsuda’s decision to name each of the three discs in the soundtrack, a move which I think underscores his artistic vision for game music – that music should be something fun to listen to outside of the game rather than just enhancing the game experience. Yasunori Mitsuda’s work is available for purchase from practically every place that deals in vgm imports. CD Japan has decent prices (the album will still set you back about $40), but if you’re buying from a dealer other than a well-known retailer, keep your eye open for off-brands like Sonmay and Ever Anime – these are pirated copies whose proceeds never make their way back to the composer. Hopefully Yasunori Mitsuda will be able to release his music on iTunes or some other electronic distribution system, as even though the music is well worth the effort, the high prices of importing specialized music is discouraging to many would-be consumers.